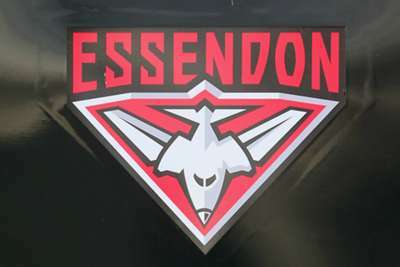 AFL club Essendon have apologised unreservedly for the controversial 2012 supplements programme that led to 34 players being handed 12-month bans for anti-doping offences. In January, the Court of Arbitration for Sport (CAS) upheld an appeal by the World Anti-Doping Agency against a decision by an AFL tribunal to clear the 34 of taking banned peptide Thymosin beta-4 in 2012, leading to them being suspended for 12 months. All 34 players - 12 of whom remain on Essendon's list, with another five now contracted to other AFL clubs - have since decided to appeal CAS' ruling to the Swiss Federal Supreme Court. Former Essendon player Hal Hunter is the only player to have taken legal action against the club and has claimed the club tried to ignore his efforts to determine what supplements he was given. Hunter still does not know what supplements he was given, despite Essendon handing over his medical records last year, and tried to legally force the club to reveal more information. In response, Essendon pursued Hunter to cover the costs of its defence and he was ordered to pay some of the fees in a ruling in February. However, Hunter now believes he should be compensated by Essendon after they handed over information the club previously claimed did not exist following the judgement. An Essendon statement read: "Essendon Football Club unreservedly apologises for its governance failings in 2012. The supplements program was ill-conceived and is the source of ongoing and immeasurable regret. "In consultation with the AFL and AFLPA, the club has offered ongoing health monitoring for all players from the 2012 playing list. "The club at all times acted in good faith and endeavoured to provide all relevant documents sought by Hal [Hunter]. "In relation to the additional documents recently provided to Hal, unfortunately these documents were not identified as part of earlier enquiries. "These documents were however part of information made available to the AFL and ASADA [Australian Sports Anti-Doping Agency] during their investigation of the club. "Essendon does not believe that these documents significantly alter the tenor of the information previously provided. "Essendon has advised that it will take no further steps regarding the enforcement of the costs order and will continue to hold ongoing discussions with Hal and his family. "Essendon Football Club is a vastly different place today than it was in 2012 and has implemented significant governance, compliance and integrity reforms across all areas of its organisation." 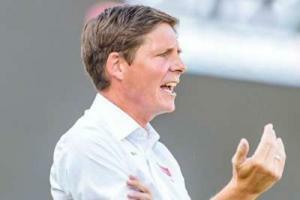 Oliver Glasner will take over at Bundesliga club Wolfsburg at the end of the season, replacing Bruno Labbadia.